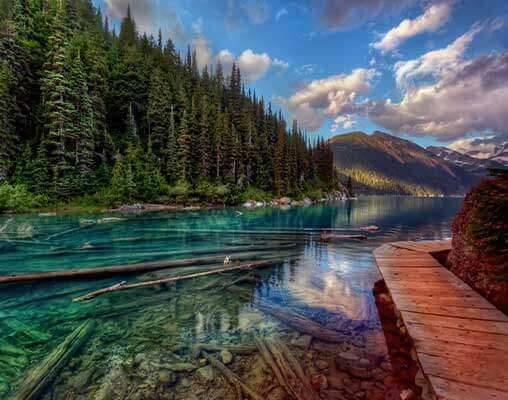 Other tour highlights include an Ice Explorer ride on the 1,200-foot-thick Columbia Icefield; a stop at gorgeous Lake Louise; and a cruise on Maligne Lake, one of the most picturesque spots in the Canadian Rockies. 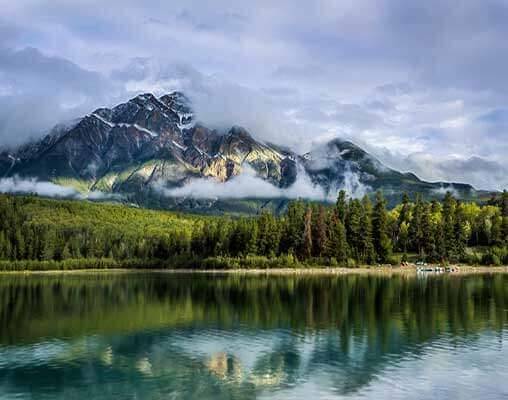 You’ll also enjoy the unsurpassed scenery on the drive between Jasper National Park and Banff National Park. 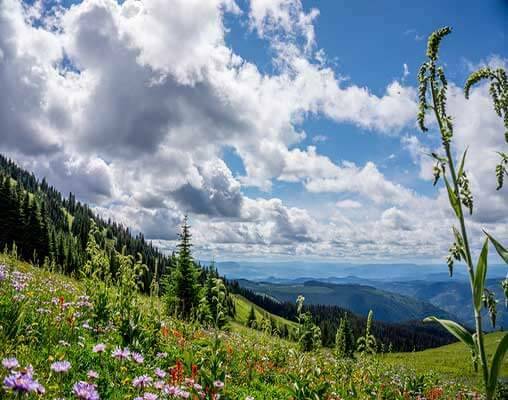 Keep an eye out for alpine meadows, waterfalls, massive glaciers, and wildlife. Please Note: Operation of the canoe trip is subject to favorable weather conditions. 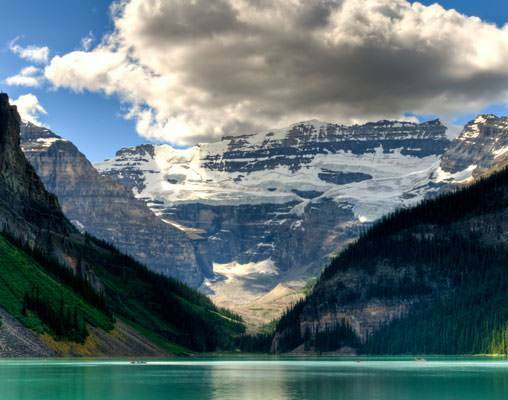 Travel aboard Rocky Mountaineer in SilverLeaf and take in the awe-inspiring scenery of the Canadian Rockies through the panoramic windows of your custom-designed single-level dome coach. Hotels include the Georgian Court Hotel, Marriott Victoria Inner Harbour, Fairmont Chateau Whistler Resort, Sun Peaks Grand, Sawridge Hotel and Buffalo Mountain Lodge. 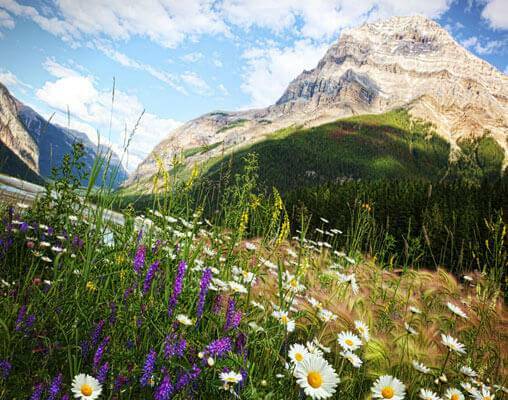 Click here to view testimonials for Majestic Rockies with the Rocky Mountaineer. 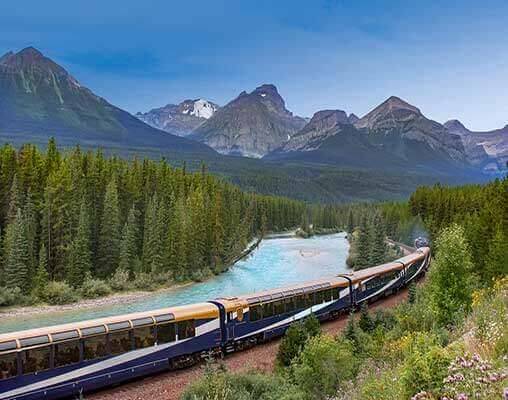 Enter your details below if you would like to be notified when 2020 dates and prices are available for Majestic Rockies with the Rocky Mountaineer. Prices are correct at the time of publication, however are subject to change at time of booking. Prices are land-only, per person based on double occupancy. Any applicable Goods and Service Tax (GST) and/or Harmonized Sales Tax (HST) for Canada are additional. Taxes will be calculated and listed at the time of booking, prior to payment being collected. Kamloops properties are considered moderate 2 or 3-star hotels or motor inns. The city does not offer any hotels in the superior category. 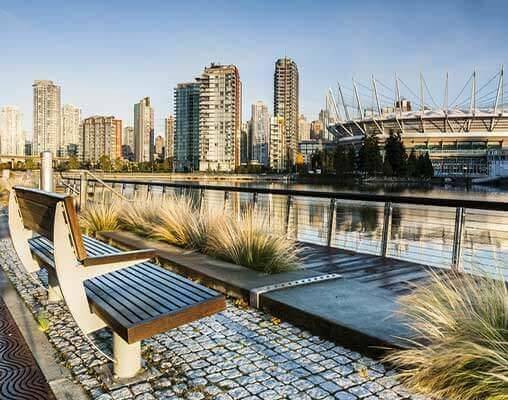 Your chosen hotel is determined by Rocky Mountaineer Railtours; however, you can rest assured that it satisfies our high standards of cleanliness and comfort.